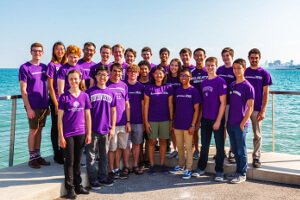 The Percussion Ensemble is an integral part of the curriculum at Northwestern University. 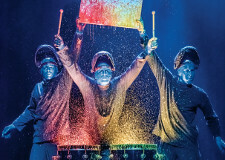 The Ensemble has won the PASIC International Percussion Ensemble Competition four times, and released a CD in 2006. The ensemble’s repertoire ranges from Cage, Donatoni, Reich, Takemitsu, Varese, Xanakis to world percussion drumming. Guest artists such as Steve Schick, Robin Engelman, Bob Becker, Anders Astrand, Gordon Stout, Steve Smith, Bill Cahn, and Andy Narell have collaborated with the ensemble, and groups like So Percussion, Amadinda Percussion Group, and Third Coast Percussion have all performed at Northwestern and guest coached the ensemble. By November 16th 2017, the ensemble will have hosted Steve Reich for two residencies, in which ensemble members got to work closely with Reich and perform his music.